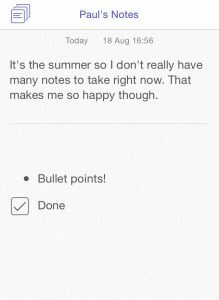 Notes+ for iPhone, developed by Notesplus Limited, is a robust note taking application that does everything you would want it to do, and also a few things you probably didn’t know you wanted. 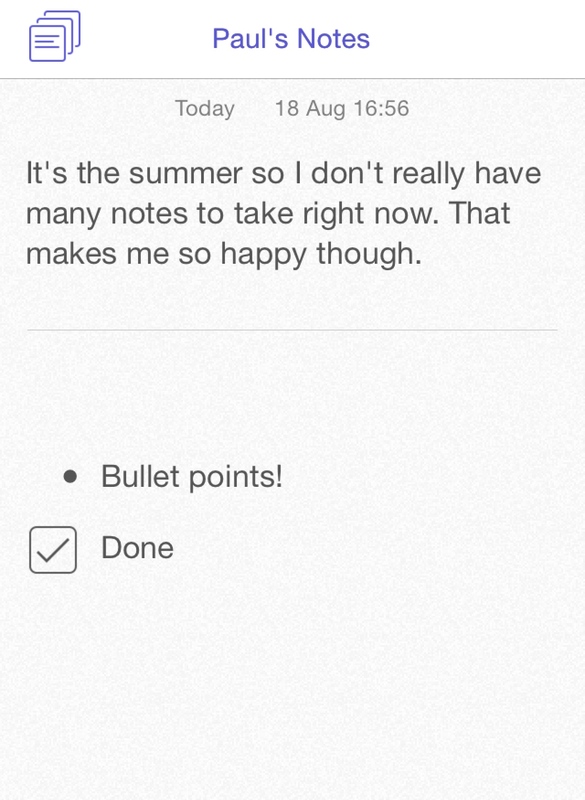 Notes+ is about note taking, but not about the kind of notes you’re probably thinking about. 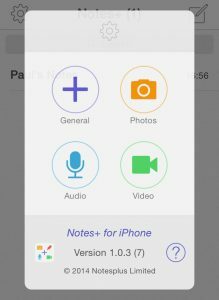 Since it only has a native iPhone version, Notes+ is not designed for long note taking sessions such as taking notes in a classroom. Rather, it is designed around smaller note taking tasks, like grocery lists or other small reminders. 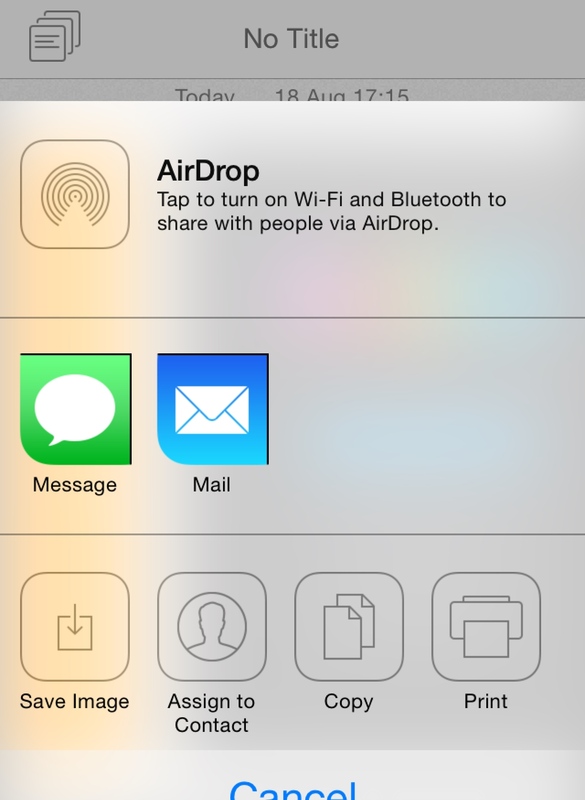 For this type usage, the iPhone’s form factor is perfectly suitable. 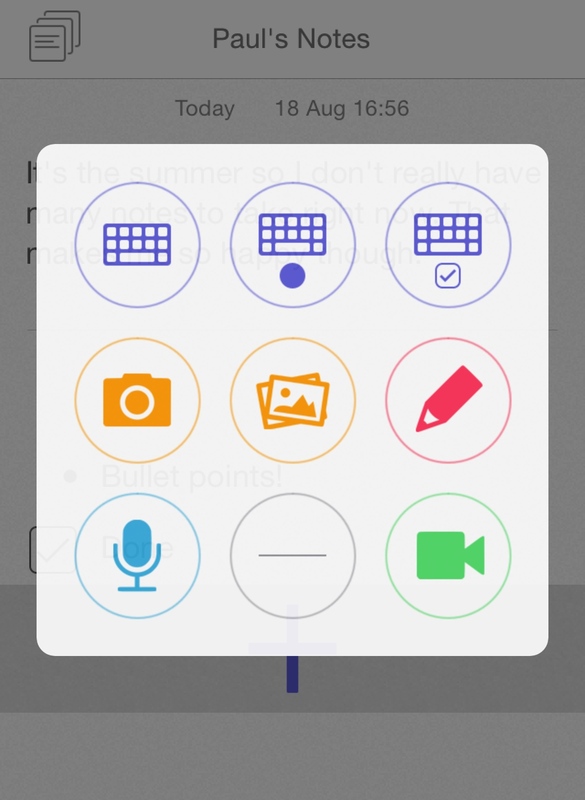 Note taking in Notes+ isn’t relegated to simply writing however, the app offers the options to take photos or record audio and video, and even lets users make small sketches if they are inclined to do so. 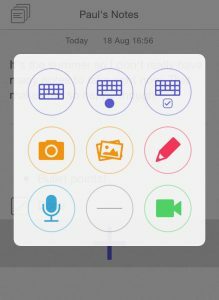 These features, accompanied by the bullet point and checklist options, means that Notes+ supports note taking in all its forms. It even includes a way to share notes or portions of notes through text messages or e-mail, meaning it’s very easy to quickly send something to someone if you need to. Unfortunately Notes+ isn’t without fault, the application suffers in its presentation, it simply isn’t very nice to look at. There are a lot of straight lines and bland fonts that lend the application an almost unfinished look. Luckily this is only an aesthetic problem, the user interface may not be pretty, but it is very effective and easy to use. 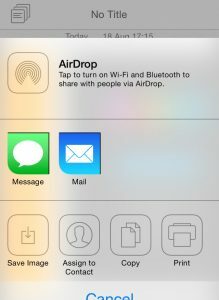 A few simple gestures can get anything done in the application, and this means that it’s very easy to open the app, jot down a few things, and close it without wasting much time. All in all, Notes+ is a highly efficient and robust application. It isn’t pretty, but it does what you need it to do quickly and without much hassle. If taking notes during the day is something that is relevant in your lifestyle, Notes+ is not a bad way to do it. 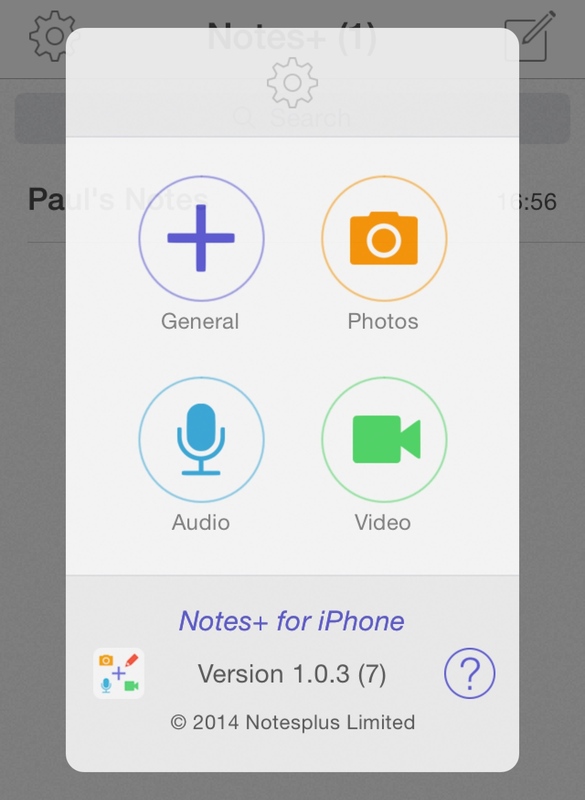 Notes+ for iPhone requires iOS 7.0 or later. Compatible with iPhone, iPad, and iPod touch. This app is optimized for iPhone 5. Follow Tapscape for the latest iPhone app reviews.